Near Space Corporation launched its balloon borne high-altitude drone from Tillamook, Oregon, carrying a special payload with FAA new technologies on board. High-altitude drone tests new Federal Aviation Administration, FAA, surveillance technologies potential to support commercial spacecraft. 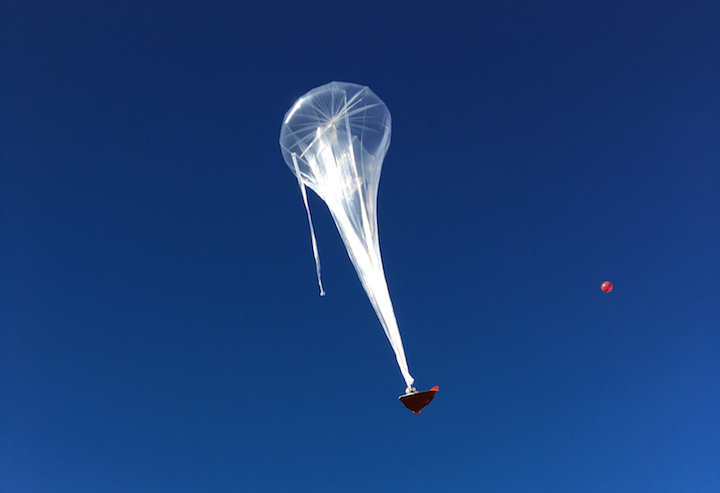 A drone released from a high-altitude balloon carried a payload to evaluate how the equipment could help the FAA detect and track commercial spacecraft entering the National Air Space, NAS, as it descends from space. Near Space Corporation, NSC, in Tillamook, Oregon, conducted the flight test on Oct. 3 under the first FAA Unmanned Aircraft System (UAS) test site for UAS high-altitude Certificate of Authorization, COA. With that flight, NSC became the first commercial suborbital space company to conduct a flight test under the agency's UAS rules. "It was great to get this first flight with the new COA under our belt," said Tim Lachenmeier, Near Space CEO. "It took a long time, and a lot of dedicated support from the FAA to get this accomplished. 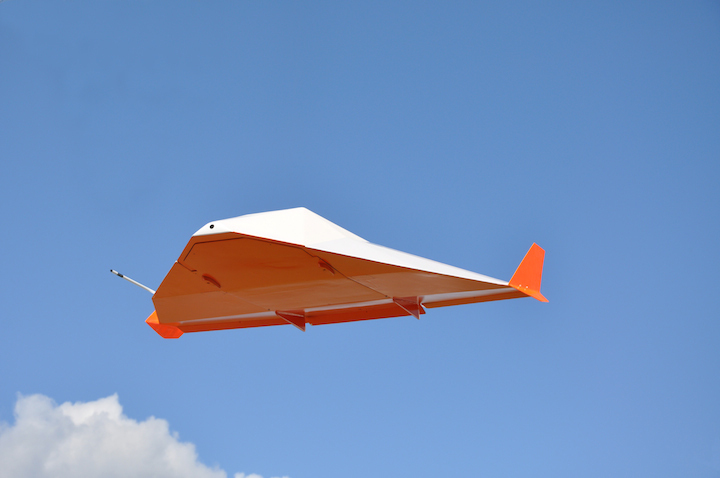 NSC is very excited about the opportunities this high-altitude UAS COA provides, and the unprecedented ability to support testing of technologies for the commercial space industry." NASA's Flight Opportunities program, under the agency's Space Technology Mission Directorate, funded the balloon flight of the FAA surveillance technology system. The program uses commercial suborbital vehicles and stratospheric balloons to test flight technologies, which raises the technology readiness level of the payloads. "Flight testing and advancing technologies needed by the FAA to allow detection and surveillance of future spacecraft while entering the national airspace is crucial for the Flight Opportunities program," said Paul De Leon, NASA'S Flight Opportunities campaign manager. "The program is continuing to grow by adding new commercial suborbital launch vehicles as they become viable, which can increase opportunities for maturing technologies much needed for future space exploration." Oregon's Tillamook Test Range is part of the Pan Pacific UAS Test Range Complex that is one of the FAA's six designated UAS test sites in the country. The FAA's Office of Commercial Space Transportation worked with NSC to integrate the special payload into NSC's High Altitude Shuttle System, HASS, which is a lifting body-shaped drone used to carry new technologies to high altitude for testing and then released to fly back and land at the range semi-autonomously. The stratospheric balloon system reached 70,000 feet altitude before it released the HASS to simulate a winged spacecraft's entry into FAA Class A controlled airspace. The descent back to the launch site lasted slightly over 30 minutes, and was followed by the FAA using the new surveillance technology. The agency tracked the HASS drone from its Seattle Air Traffic Control Center and was observed by agency personnel at the FAA’s Office of Commercial Space Transportation in its Washington DC offices. NSC's drone was used to provide a real-world test that simulated the return of a spacecraft through controlled airspace. The flight provided a real-world simulation of a spacecraft re-entry to help evaluate the applicability of FAA's Next Generation air traffic control technologies. Due to current FAA UAS regulations, a special new high-altitude COA was required. The agency issued the COA in August 2016 along with an agreement that specified the special Air Traffic Control provisions for high-altitude flight operations within the Tillamook UAS Test Range. The purpose of a COA is to specifically help prescribe flight rules for UAS operations in the NAS for the purpose of research, development, test and evaluation. Results of the flight test are still being analyzed but planning for a second flight is underway. Through the Flight Opportunities program, STMD selects promising technologies from industry, academia and government, and tests them on commercial launch vehicles. The Flight Opportunities program is funded by STMD, and managed at NASA's Armstrong Flight Research Center in Edwards, California. STMD is responsible for developing the crosscutting, pioneering new technologies and capabilities needed by the agency to achieve its current and future missions.